Dubai, UAE, October 09, 2018: Photography enthusiasts rejoice! 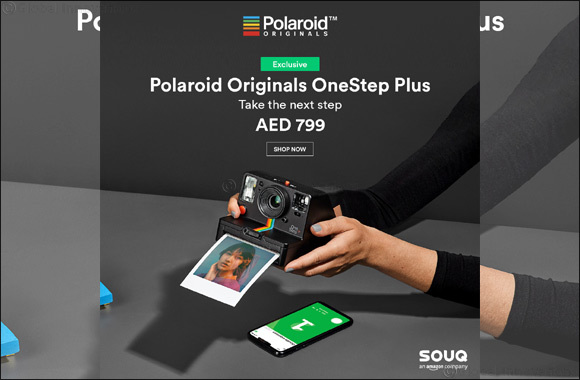 The much-awaited Polaroid Onestep + is now available exclusively on SOUQ.com. The Polaroid Onestep + is an analog instant camera that connects directly to the smartphone using Bluetooth Technology and is equipped with many features such as portrait lens, double exposure, light painting, self-timer, remote trigger and more. Unlock a world of creative photography with the classic retro black Polaroid Onestep + priced at AED 799. The Polaroid OnePlus+ is available here on SOUQ.com.